Please choose your sharing platter. Please choose your salads and veg. The menu Buffet Lunch is unavailable at that date. Chef Philippa Denton is unavailable on this date. 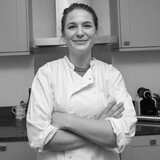 Check chef Philippa Denton's calendar. Chef Philippa Denton is unavailable in this city.